Axis Bank has touched 1 million micro-borrowers mark and is not keen on acquiring stake in any microlender. 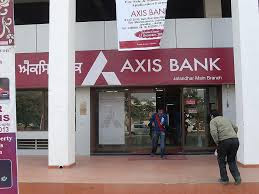 Three years after getting into the segment, the bank hs touched 1 million borrowers mark recently and all of them are women who have availed themselves of credit through the joint lending group model, Axis Bank’s retail banking head Rajiv Anand told the agencies. Stating that the lending book stands at Rs. 1,100 crore now, he hinted that the bank will focus on expanding the business organically rather than buying into a microfinance company. “As of now, we don’t believe there is any need for us to take on any equity stake in an MFI,” Anand said. It can be noted that other lenders like Kotak Mahindra Bank and IDFC Bank have acquired stakes in MFIs, while IndusInd Bank is in talks with Bharat Financial (formerly SKS) for what can be one of the biggest acquisitions in the space. As many as 90 per cent of Axis Bank’s borrowers have been tapped by the bank’s dedicated team of 1,600 people, while the rest have come from intermediaries, Anand said. The average ticket size of its micro loans is Rs. 18,000 and there is a three-tier rate structure with interest ranging from 12 to 22 per cent, he said, asserting that this is a “profitable” business for the bank. Axis Bank is present in 18 states with its microlending offerings and aims to reach 22 states by 2020. Even as the bank faces regulatory action for alleged irregularities during the note-ban period, Anand said he is “proud” of the work done by his retail banking staff. Anand said the average transactions jumped four times that of the usual during the period, and the bank also had to work with the rules getting changed almost every day . He also said that speculation of the bank merging with another one does not have any bearing on its expansion strategies, underlining that such talk has been denied. Even as the advent of digital banking raises concerns on the relevance of the network-led model, Anand said 90 per cent of customers for the banking system do not use digital alternatives. He said physical networks are important from a brand trust perspective and that the nature of the work undertaken at the branches can undergo a change eventually.